Magnetite is a rock mineral and one of the main iron ores, with the chemical formula Fe3O4. It is one of the oxides of iron, and is ferromagnetic, it is attracted to a magnet and can be magnetized to become a permanent magnet itself. 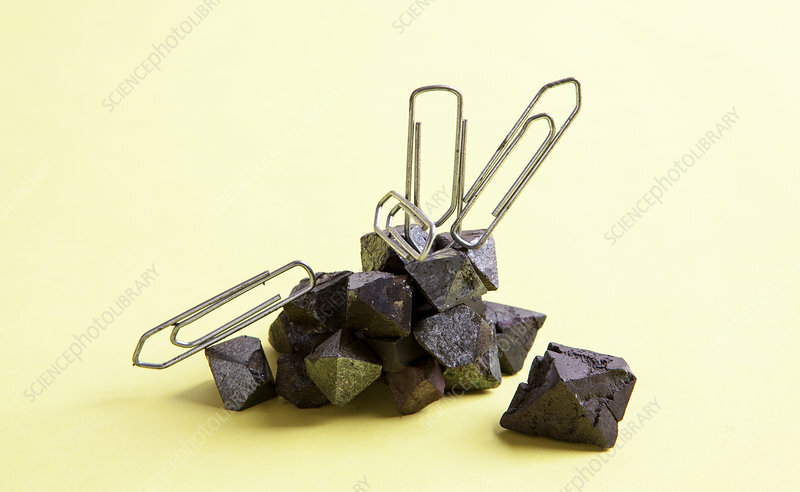 Here pieces of magnetite are shown to attract steel paper clips.